KNOXVILLE – The Knoxville Museum of Art (KMA) has acquired twelve major works by Knoxville native Beauford Delaney. This landmark purchase adds to the KMA collection a broad representation of Delaney’s career from the 1920s to the 1970s. The group includes a rare and enigmatic self-portrait—perhaps the last one he ever produced—and strong and diverse group of abstract paintings. Together with the 40+ works on paper acquired since 2014, the purchase makes the KMA the world’s largest public repository of oil paintings and works on paper by Beauford Delaney. Beauford Delaney (Knoxville 1901-1979 Paris), Moving Sunlight, 1965. Oil on canvas, 25 3/4 x 21 1/2 inches. Image from the Estate of Beauford Delaney by permission of Derek L. Spratley, Esquire, Court Appointed Administrator. 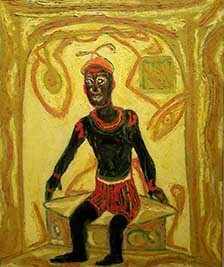 Beauford Delaney (Knoxville 1901-1979 Paris) is considered one of the greatest artists of the 20th century. Despite battling poverty, racial prejudice, and mental illness, he achieved an international reputation for his portraits, scenes of city life, and free-form abstractions marked by intense colors, bold contours, and vibrant surfaces. After early training in Knoxville and Boston he settled in New York, where he attracted a host of distinguished friends including James Baldwin, Georgia O’Keeffe, Alfred Stieglitz, Willem de Kooning, and Henry Miller. 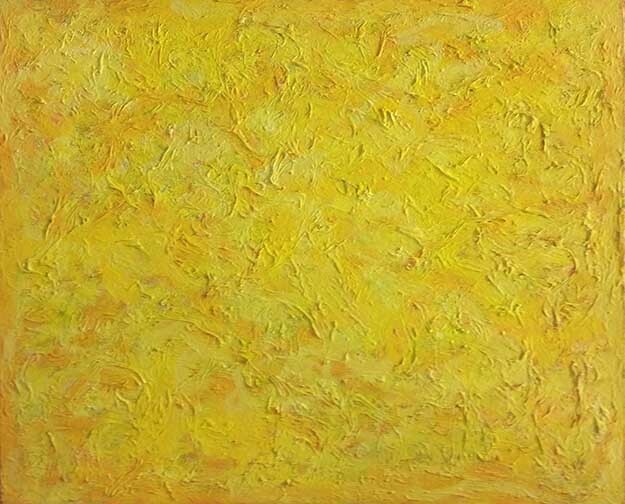 In 1953 he moved to Paris, where he remained for the rest of his life and produced what many consider his most significant work, moving to pure abstraction rendered in brilliant pure colors, especially yellow. Beauford Delaney, (Knoxville 1901-1979 Paris), Self Portrait in a Paris Bath House, 1971. Oil on canvas, 21 3/4 x 18 inches. Image from the Estate of Beauford Delaney by permission of Derek L. Spratley, Esquire, Court Appointed Administrator. According to Stephen Wicks, the KMA’s Bernard E. and Barbara W. Bernstein Curator, “Beauford Delaney’s legacy has long been recognized internationally, but he is less well-known here at home. We hope this acquisition helps to change that.” The KMA plans to mount a major international exhibition of Beauford Delaney’s work in the fall of 2019, and is participating with a growing roster of local cultural organizations operating collectively as “The Delaney Project” to organize events to celebrate the achievements of Beauford and his brother, artist Joseph Delaney, in their hometown. Selections from the purchase will be on view at the KMA beginning this spring. 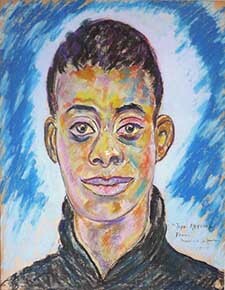 Beauford Delaney (Knoxville 1901-1979 Paris), Portrait of James Baldwin, 1944. Pastel on paper, 24 x 18 ¾ inches. Image from the Estate of Beauford Delaney by permission of Derek L. Spratley, Esquire, Court Appointed Administrator. Two pastels and a charcoal drawing from Delaney’s Boston and New York periods were purchased with the support of the Rachael Patterson Young Art Acquisition Reserve. Nine paintings and works on paper representing the artist’s Paris years were purchased from the Beauford Delaney estate with the support of the Rachael Patterson Young Art Acquisition Reserve, Ann & Steve Bailey in honor of Rachael Patterson Young, Natalie & Jim Haslam in honor of Lindsay Young, the KMA Collectors Circle, Molly & Bob Joy, The Knoxville (TN) Chapter of the Links, Inc., Daniel McGehee, Marty Begalla, Nancy & Charles Wagner, June & Rob Heller, Sandy & Tom Burdick, the Guild of the Knoxville Museum of Art, Debbie & Ron Watkins, Emerson Process Management, John C. Z. Thomas, Richard Jansen, John Cotham, Monica Crane & Luke Madigan, Susan & Kent Farris, Lane Hays, Sylvia & Jan Peters, Patricia & Alan Rutenburg, Barbara & Steve Apking, Pam & Jeff Peters, Ebbie & Ronald Sandberg, Bedford Waters, Barbara & Bernie Bernstein, Mardel Fehrenbach, Karen & Reinhold Mann, Penny Lynch & Kimbro McGuire, David Butler & Ted Smith, Home Federal Bank, Knoxville Airport Authority, Richard Matlock, Avice & Gary Reid, Jonida & Theotis Robinson, Mimi & Milton Turner, Kitsy & Lou Hartley, Diane Humphreys-Barlow & Jack Barlow, Debbie & Jimmy Jones, Merikay Waldvogel & Jerry Ledbetter, Meredith & Mark Overholt, Chris Powell, Alexandra Rosen & Donald Cooney, Sandy & Frank Steer, Donna & Terry Wertz, Jackie Wilson, Pat & Geoff Wolpert, Marie & Bob Alcorn, Susan & Jeff Arbital, Ursula Bailey, Janda & Adolphus Brown, Linda & John Haynes, Alane Hickman and Jan Houston-Hickman, Sandy & John Lucas, Venice Peek, Dorothy & Caesar Stair, Brenda & Larry Thompson, Twuanna & Derick Ward, Gwen & Sam McKenzie, Wokie Massaquoi-Wicks & Stephen Wicks, Erven & Elnora Williams, Brenda Anderson, Evelyn Davidson, Gloria Deathridge, Kathy & Jack Gotcher, Denise DuBose & Francis Lloyd, DeLena Feliciano, and Georgia & William Pace. The KMA is grateful to estate attorney Derek Spratley for his expert assistance in facilitating this transaction. The Knoxville Museum of Art celebrates the art and artists of East Tennessee, presents new art and new ideas, serves and educates diverse audiences, and enhances Knoxville’s quality of life. The museum is located in downtown Knoxville at 1050 World’s Fair Park and is open to the public Tuesday through Saturday 10am–5pm, and Sunday 1pm-5pm. Admission and parking are free. For more information, visit www.knoxart.org.